Photo of: East Coast of Ireland: Dublin: Phoenix Park. This photograph shows the Magazine Fort in the Phoenix Park (a wonderful park to the west of the city) looking like the prow of a battleship thrusting its way through the sea of grass. 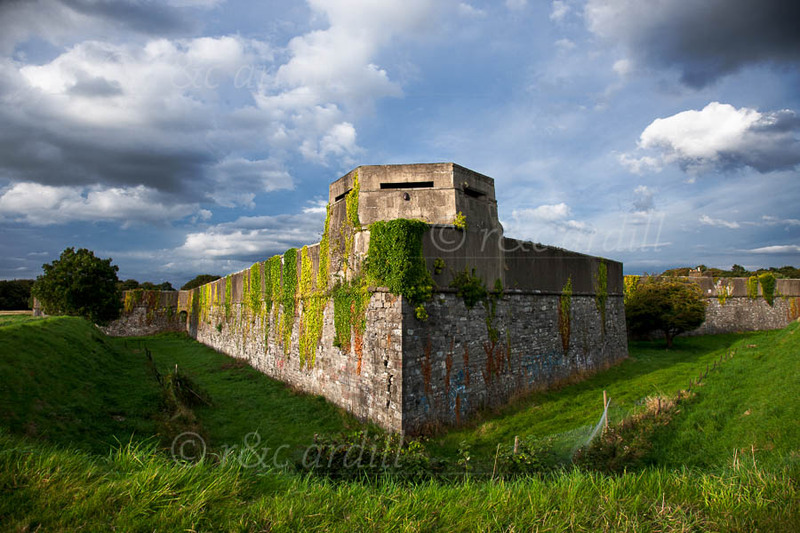 The Magazine Fort, built in 1735, was at first a symbol of the British occupation of Ireland. But by 1939 its purpose was to house the Irish Army's stocks of guns and ammunition.